The housing market is on the mend and is not as grossly out of whack as it has been in years past, according to a recent USA Today article. Evidently, housing markets across the country are reporting that more homes are coming on the market and asking prices are leveling out. 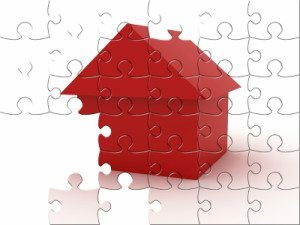 This all means that the housing market is becoming increasingly stable, instead of an extreme buyer’s or seller’s market. Through June 2013, U.S. home values increased by 10 percent, which is the fastest rate it’s been since 1977. Meanwhile, asking prices (which are the top indicator of sales prices) increased to a seasonally adjusted rate of 3.3 percent in May and June. Although this increase is noticeable, it is less than the 4.2 percent jump that happened six months ago. Some of the hottest markets in the country – including Las Vegas, San Francisco and Portland – are reporting that increases in asking prices have slowed even more in recent months. Meanwhile, pending home sales dipped in June, with rising interest rates deterring some buyers. Bidding wars also appear to be leveling off. In July, 63 percent of buyers’ offers on Redfin faced competition in 22 markets. That’s down from 68 percent in June and 76 percent (the peak) in March. Increases in median home values have also slowed. For instance, in Miami, the median home value increased 0.7 percent from April to May, compared with 0.6 percent from May to June. Comparatively, home values have increased at least 1 percent month-over-month during the previous five months. Experts credit some of the market slowdown to seasonal factors, since a lot of people go on vacation in July. The fact that there is more inventory on the market may also play a role. For instance, on a national scale, the for-sale home inventory was down 5.3 percent in July year-over-year. But in January, that inventory was down 16 percent year-over-year. Moreover, between June and July, the housing inventory increased by 1.4 percent. This increase in housing inventory is giving home buyers more options when it comes to what kind of home they want. Experts also contend that the recent slowdown in home price increases is a positive sign. That’s because rapid appreciation encourages house flipping, which causes home prices to skyrocket to unaffordable levels. If prices keep rising as fast as they have been, it will create a bubble, which is what caused the housing market to crash in the first place. A slower rising home value environment, on the other hand, will encourage home ownership and lasting investment. All of the recent data suggests that home buyers and home sellers are likely to encounter a much more balanced, and less frenzied, housing market. This is sure to give both groups confidence in the overall health of not only the market, but their home investment. Check back here soon to see more updates on the state of the national housing market, and what it means for interested home buyers and sellers!